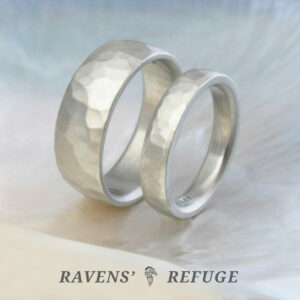 Hand forging rings from molten platinum is becoming a lost art. 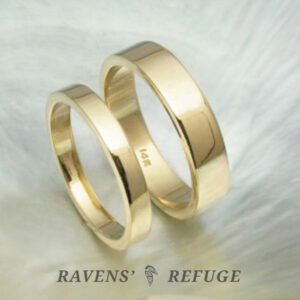 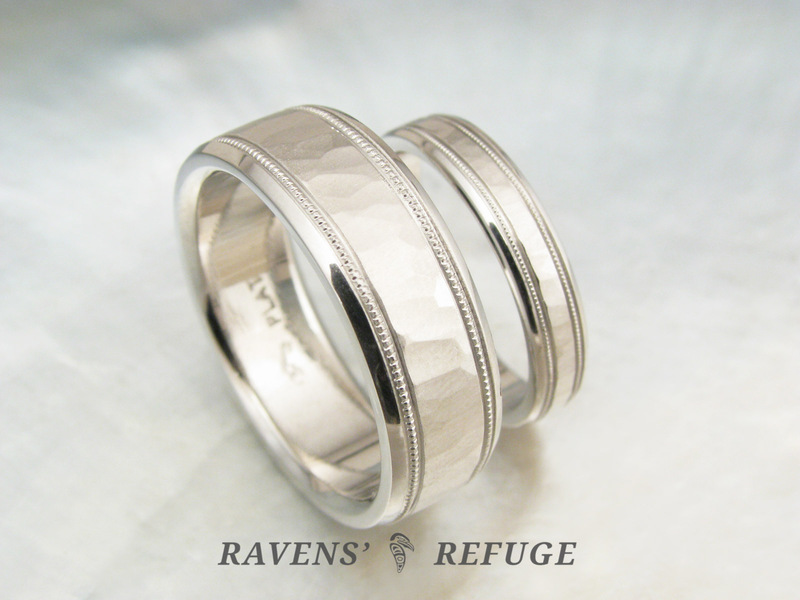 These two wedding bands will be formed from a single ingot (bar) of platinum that Dan has poured himself. 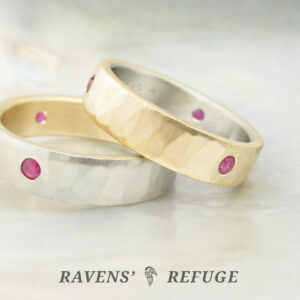 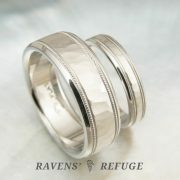 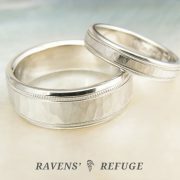 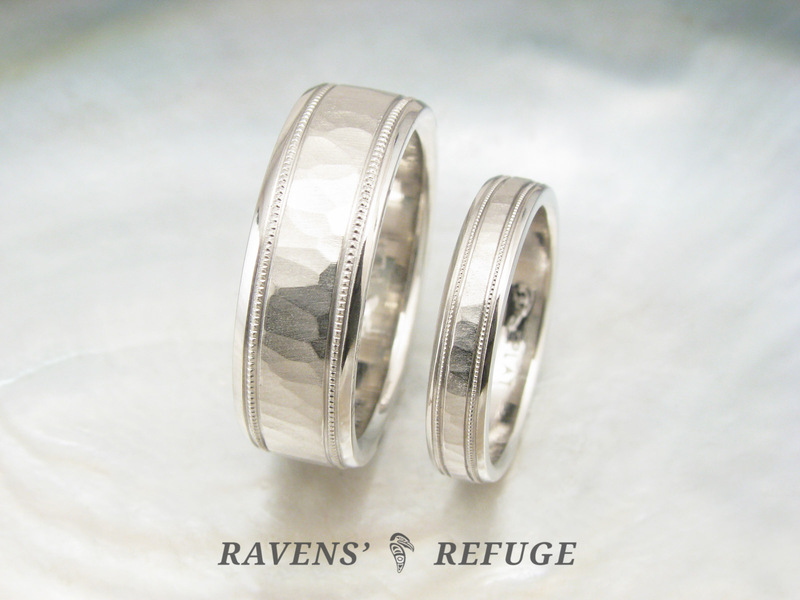 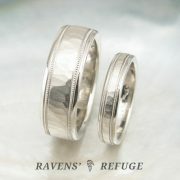 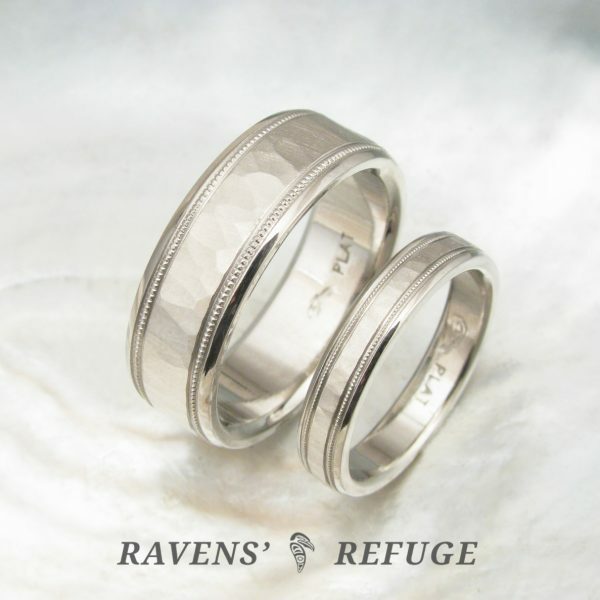 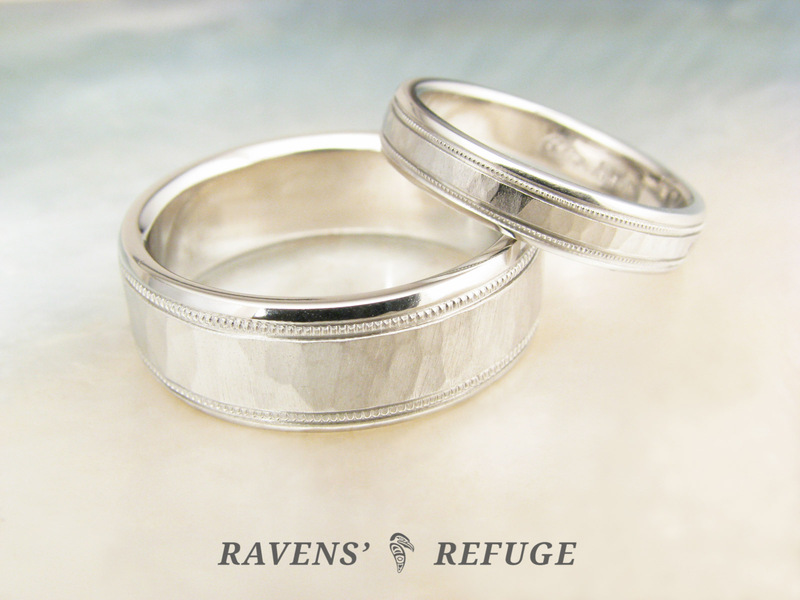 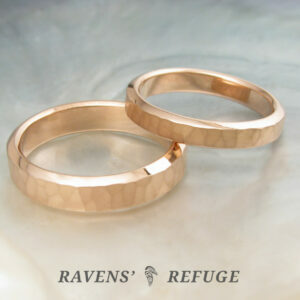 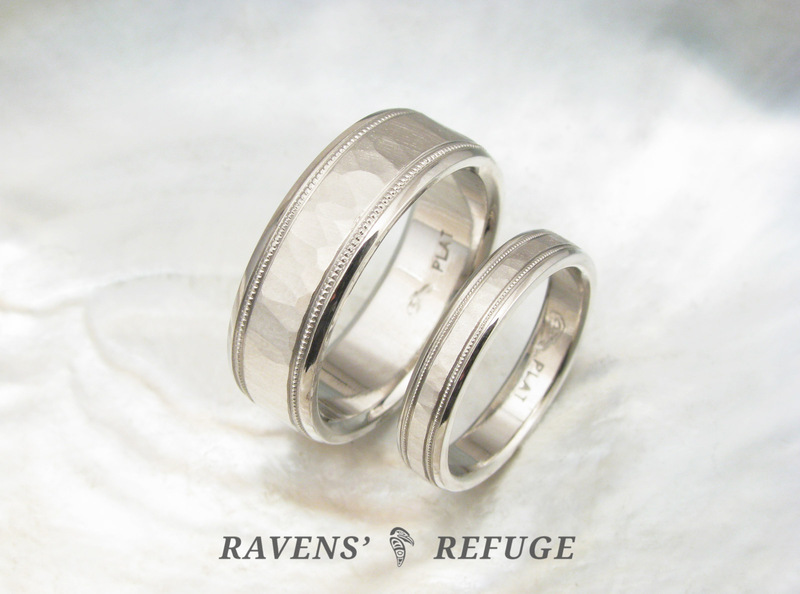 Dan has given these lovely and unique wedding bands a waterfall hammered finish in the center, polished beveled edges, and milgrain dividers. 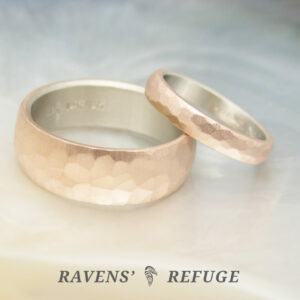 The smaller band is a scaled down version of the larger band, with smaller waterfall facets & finer milgrain.